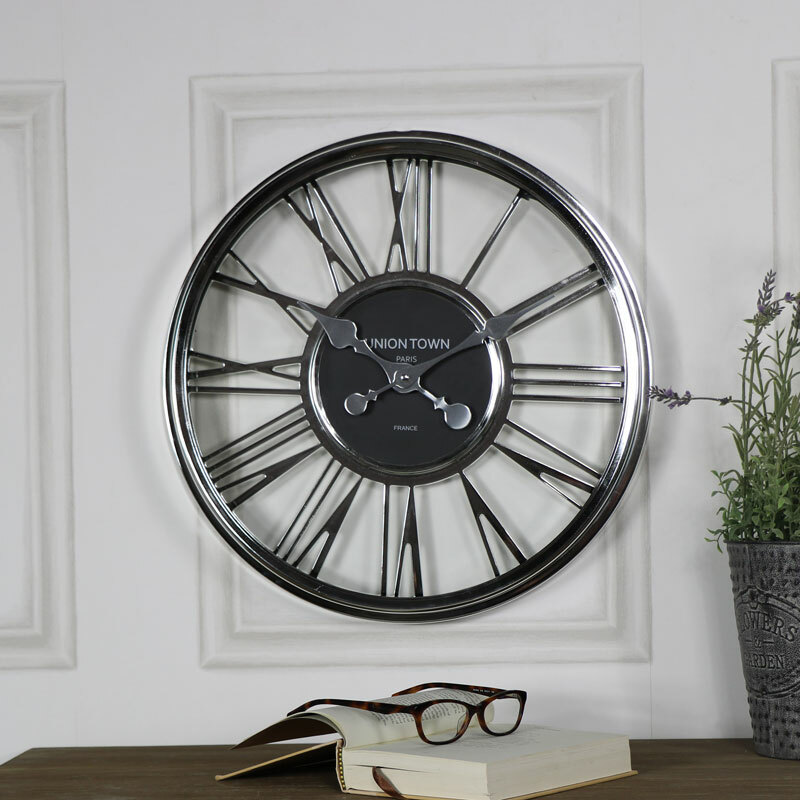 Large metallic silver skeleton wall clock. 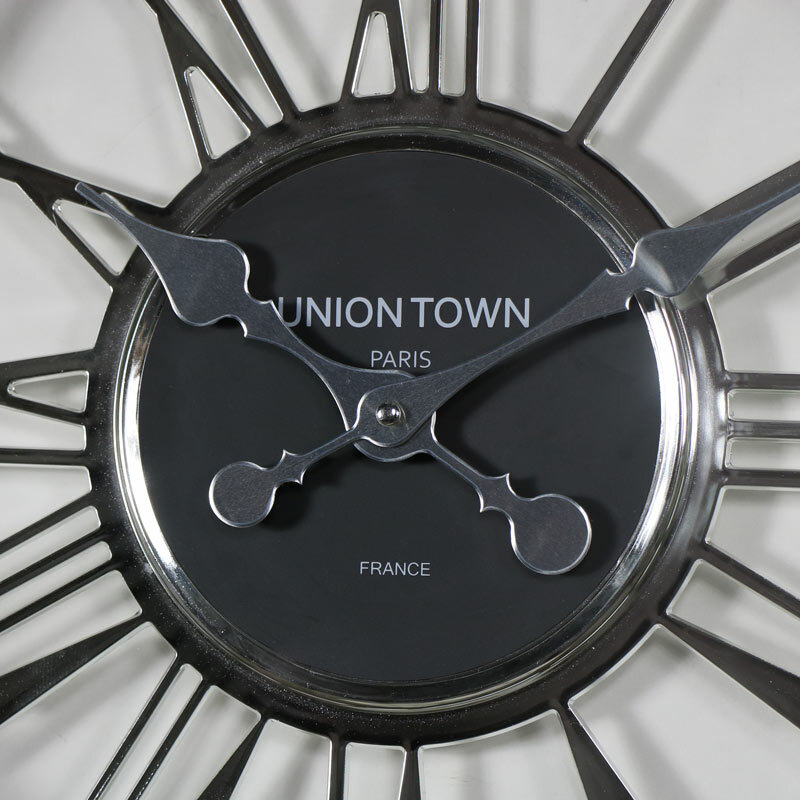 With its large bold Roman Numerals and large silver hands against a black centre the clock makes the time easy to see. The bold appearance will make a striking statement hanging in the living room, bedroom, hallway or kitchen. 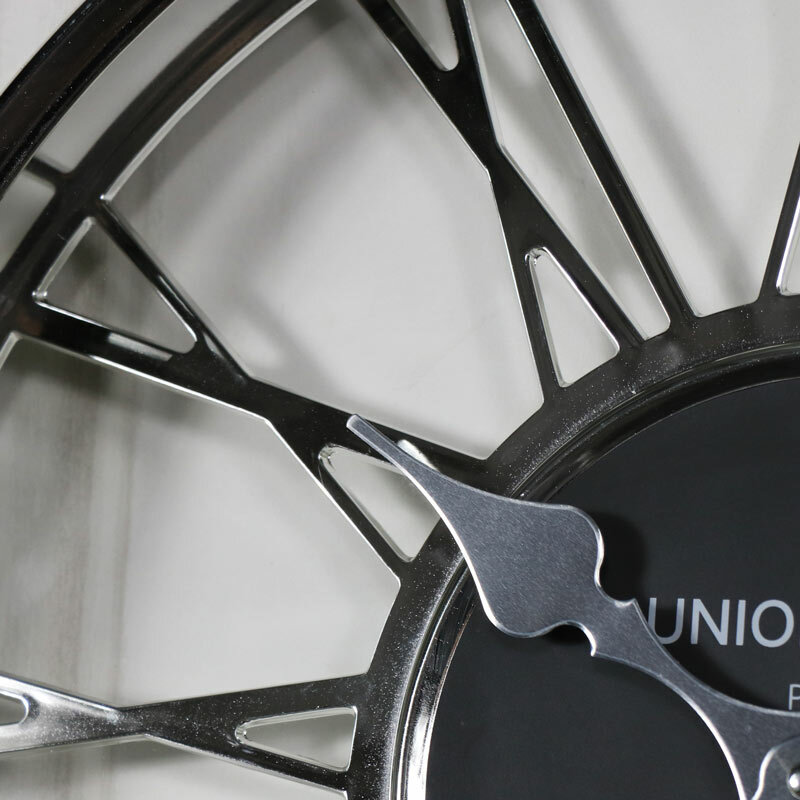 The clock frame is made from plastic which is painted in a metallic silver finish to make it look the part. Easy to wall mount with a hole for hanging on the wall. Takes x1 AA battery which is not included.